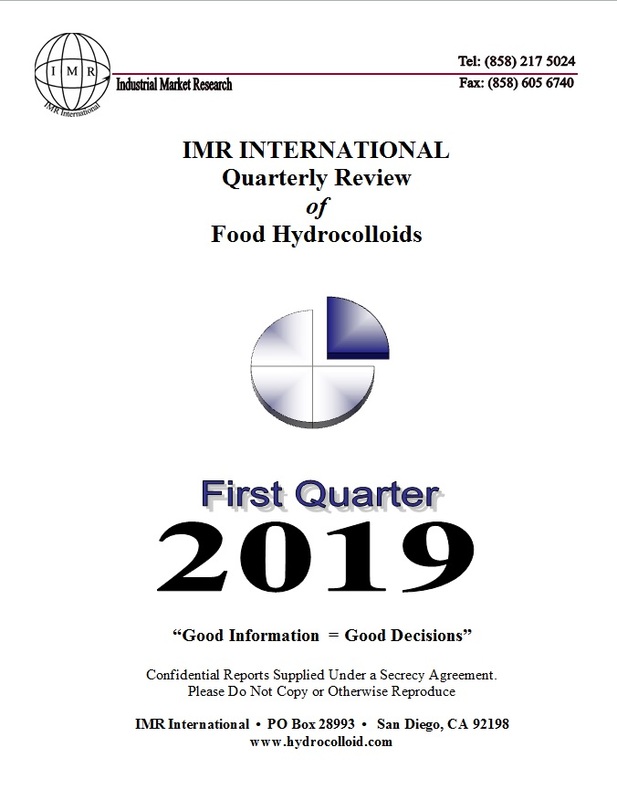 "Good Information = Good Decisions"
Based in San Diego, California, IMR International is the leading industrial market research and consulting company in food hydrocolloids. Since 1985, we offer comprehensive studies, multi-client and single-client, on all food hydrocolloids. Our research data covers virtually all hydrocolloids, including: Agar, alginates, gum arabic, carrageenan, cassia, cellulosics (CMC, MCC, MC/HPMC), gelatin, gellan, guar, konjac, locust bean gum, pectin, starch, tara gum, and xanthan. Hydrocolloid producers, users, distributors, investment bankers, and many others, all make use of IMR's in-depth and focused market data in arriving at go/no-go decisions. Since 1996, IMR has organized the Annual Food Hydrocolloid Conference, a gathering of who's who in hydrocolloids. The conference alternates between Europe and the U.S. High level executives from the spectrum of the hydrocolloid supply chain gather to discuss: Where are we? Where are we going? and How do we get there? We also provide customized studies on all aspects of hydrocolloids as well as some other food ingredients.